Three goals in the last 15 minutes saw third tier Huddersfield Town take FA Women’s Championship side Charlton Athletic to extra-time before going through on penalties. Huddersfield Town dramatically came from three goals down at Championship side Charlton Athletic to eventually win a shoot-out and clinch a trip to top flight West Ham. Kit Graham got an early goal for the Addicks and set up Charlotte Gurr to head home the second off the upright. Even though Graham got the hosts’ third with 23 minutes remaining, Brittany Sanderson, Laura Elford and Kate Mallin all replied to force extra-time which yielded no further goals but the Terriers went through 5-4 on penalties. Millwall will make the trip to Liverpool after clinching a first win of the season with an injury-time goal against Lewes. The visitors were down to ten players with a 84th-minute red card for Amy Taylor, sent off for kicking out at the Lionesses’s Evie Clarke. Grace Neville then grabbed a late goal for Millwall first victory in any competition this campaign. Birmingham City head to Reading next week following a 3-1 result at Yeovil Town, where Charlie Wellings was involved in two goals. 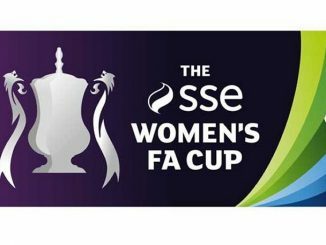 The Blues’ Lucy Quinn had a goal ruled out for offside but before the break Wellings won a penalty which Aoife Mannion put away. Seconds after the restart Lucy Staniforth beat the offside trap and squared for Emma Follis to tuck home. Wellings powered a third past Megan Walsh before 16 year-old Erin Bloomfield headed in Charlotte Buxton’s cross for a consolation. An upset looked on the cards early on as Stoke City’s Hannah Keryakoplis found the back of the Aston Villa net 6 minutes in. But Kerri Welsh levelled in the second half and Sophie Haywood gave Villa the lead on the rebound from a Jodie Hutton strike. 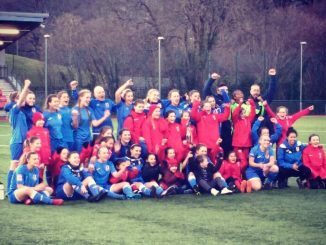 The Potters were close to getting back on level terms when Cassie Hyde followed up from a free kick and Amy Hughes sent a ball fizzing across the face of goal. Sheffield United were 1-0 up on 14 minutes at Loughborough Foxes, Alethea Paul curling home from the edge of the box. It was so nearly 2-0 soon after as Sam Tierney hit the bar and Jade Pennock’s follow-up was saved on the line by Amy Burle. The Blades did get their second on 54 minutes as Veatriki Sarri tapped home at the back post, sealing a fifth round tie at Aston Villa. Durham booked a trip to Bristol City with a 5-1 victory over Cardiff City, despite the visitors levelling in the first half and missing a penalty. Abby Holmes put the Wildcats in front after a succession of corners an although Kylie Nolan won a penalty and saw it saved by Megan Borthwick, the same player netted from open play shortly afterwards. Beth Hepple restored the advantage after Sarah Wilson’s effort was cleared off the line, Sarah Robson came off the bench to get the third and Zoe Ness added a late brace. Jemma Purfield scored twice as Liverpool hit lower league MK Dons for six. Liverpool got the opener against MK Dons just after the half hour mark and scored again moments later. 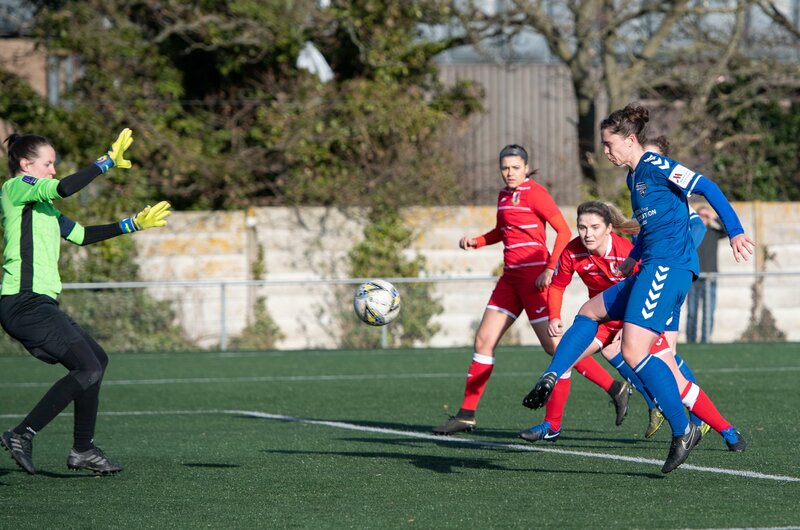 Laura Coombs’ deflected strike after a corner opened the scoring, Christie Murray then set up Courtney Sweetman-Kirk to finish seconds afterwards. Leandra Little headed home the third for the Reds, seconds later Purfield scored on her debut, then Ashley Hodson marked her return from an ACL injury by making it 5-0 with a curled effort and Purfield added her second. 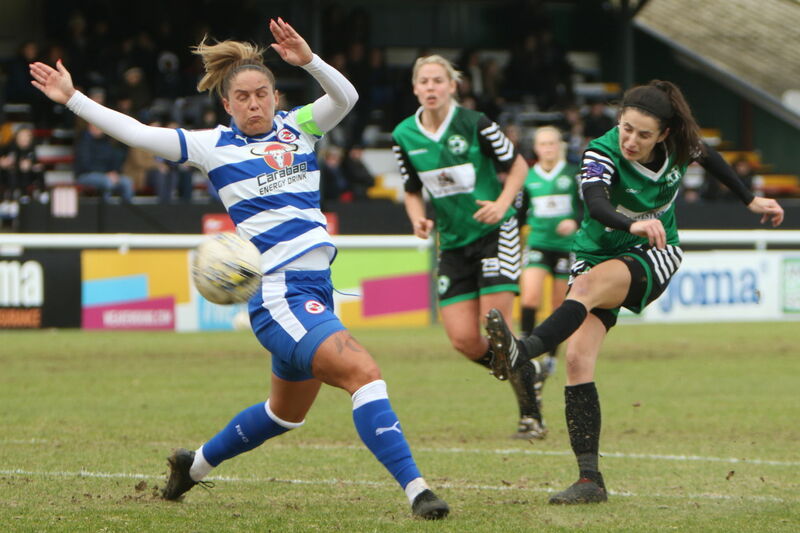 There’s three divisions between Reading and Keynsham Town, reflected in the Royals’ 4-0 interval lead achieved with a Fara Williams hat-trick and one from Lauren Bruton. 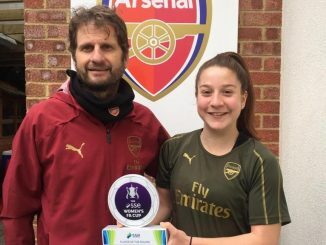 Much worse was to follow for the underdogs, as Brooke Chaplen bagged a brace, Bruton got her second, Williams took her tally for the day to five, Rakel Honnudottir netted her first two goals for the club, Charlie Estcourt and Gemma Davison added singles in the 13-0 thrashing. Tickets for this season’s Final, which will take place on Saturday 4 May 2019, are on sale priced £15 for adults while kids go free.